One of the things that we like to study in late autumn and winter is trees. We pay attention to tree sizes, forms, bark texture, fruits and seeds. We discuss different types of trees. We look at differences and similarities in them. Especially we like learning about the tree types in December and January when evergreen trees are everywhere due to Christmas. This is the high time to learn about coniferous trees especially, their life cycle, types of cones and needles. 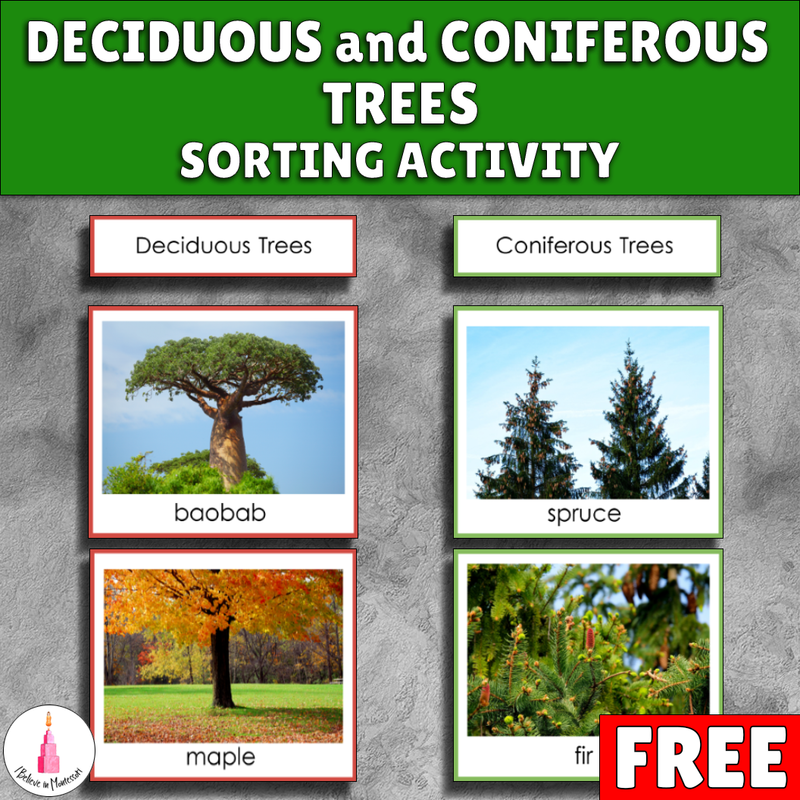 This deciduous and coniferous trees sorting material can be a wonderful preliminary activity for this study. This material can be used at any time of the year. You can pay a child's attention to the trees during your nature walk to prepare for learning about this topic. Then you can present the material. You can go on a nature walk with your nature journal then and make notes about the trees you see, identify their types, draw them, write down their names. This material is a great addition to your Montessori botany shelf or themed area. I’ve added this printable to my FREE PRINTABLES LIBRARY so head over there if you’d like to download a copy for yourself. The Library is a free resource for my newsletter subscribers. If you’re already a subscriber, your password is in the most recent newsletter. 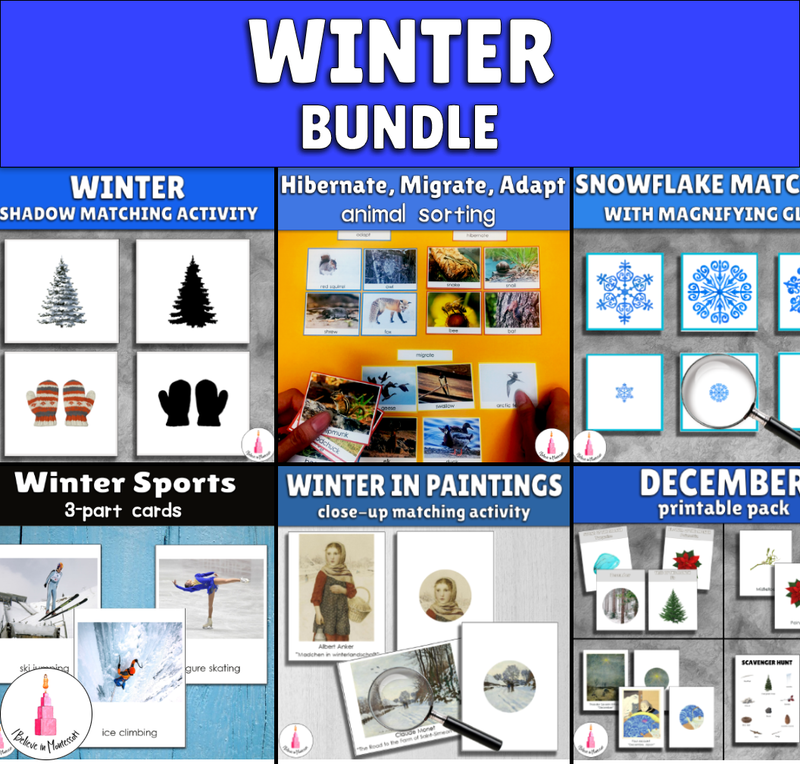 If you’re not a subscriber yet, please join us below to download this freebie and gain access to more awesome free materials.